This Broad Leaved Cockspur Thorn makes a great small garden tree. 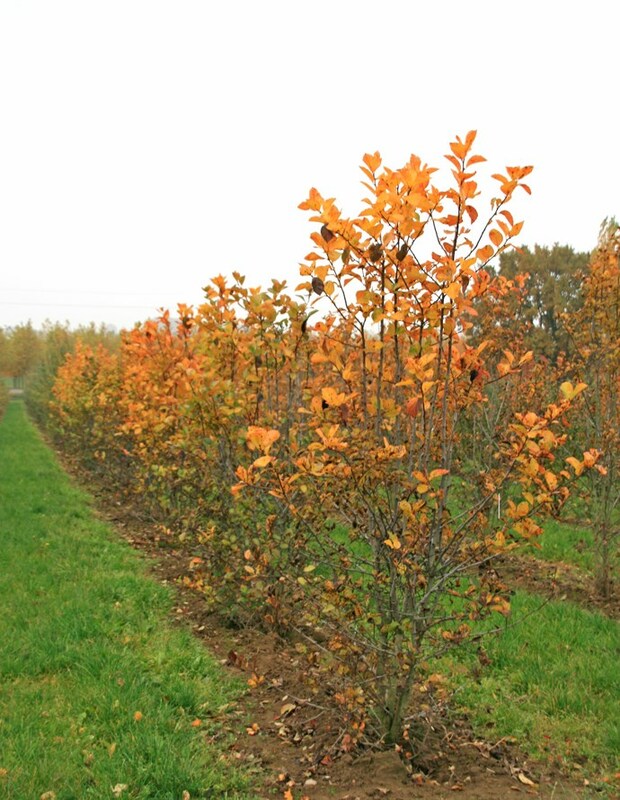 Crataegus prunifolia has white flower in spring giving way to red hips by autumn. The green summer foliage turns a vivid yellow through to red in the autumn before leaf fall. A hardy tree that thrives on most soils, even doing well near to the coast, although not as the first line of defence.